Do your customers ask the same product-related questions again and again? 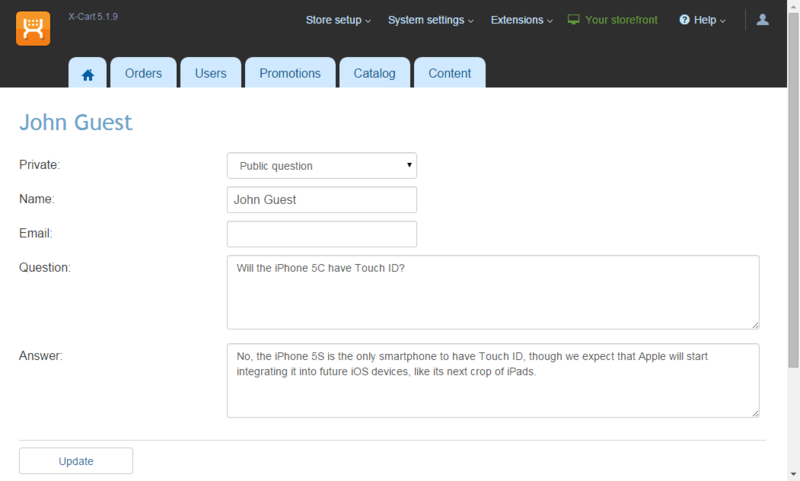 With Product Questions module you can save your time and publish the answers right on product pages. This extension enables shoppers to ask questions about your products and get answers from your staff. 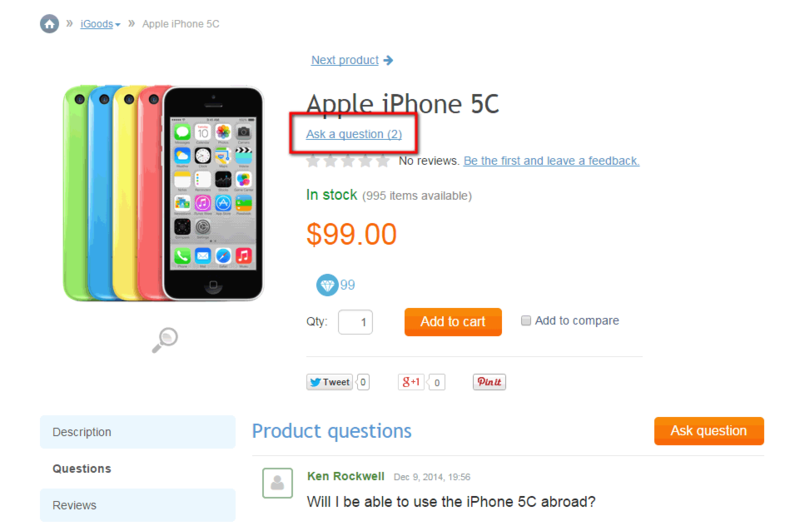 Questions and answers appear together as a tab on the product page. Any questions that have not yet been answered by your staff are visible only to the people who asked them. Such questions appear with a special "on moderation" mark next to them. The store administrator is notified of new questions by e-mail. You can configure whether non signed in visitors can ask questions about your products, or not. 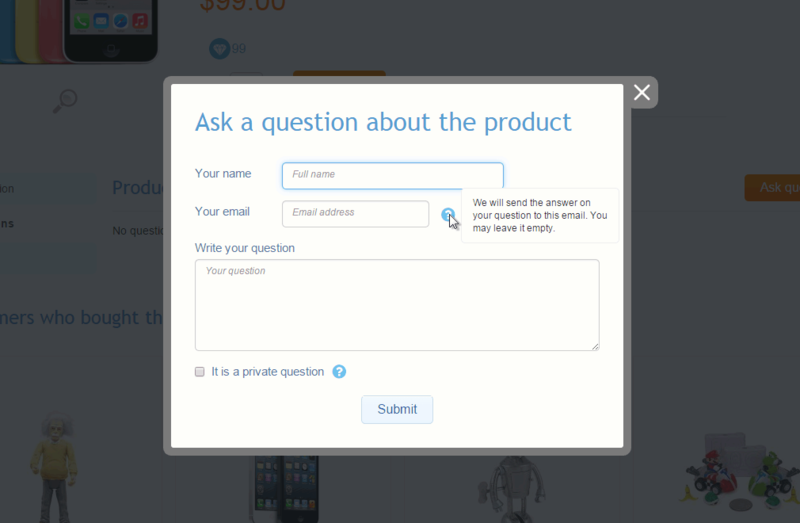 If a user specified an e-mail address when asking a question, the answer is e-mailed to him or her as well as published on the product page. When asking a question, a customer can make it a public or a private one. Private questions (and answers to them) are visible only to the users who asked them. To get the product page loaded faster, the Questions tab lists only a few recent questions along with a link to show the entire list of them. The module uses the AJAX technique to update product questions without a complete page reload. When used together with Multi-vendor module this module e-mails questions about a product to the vendor that added the product. 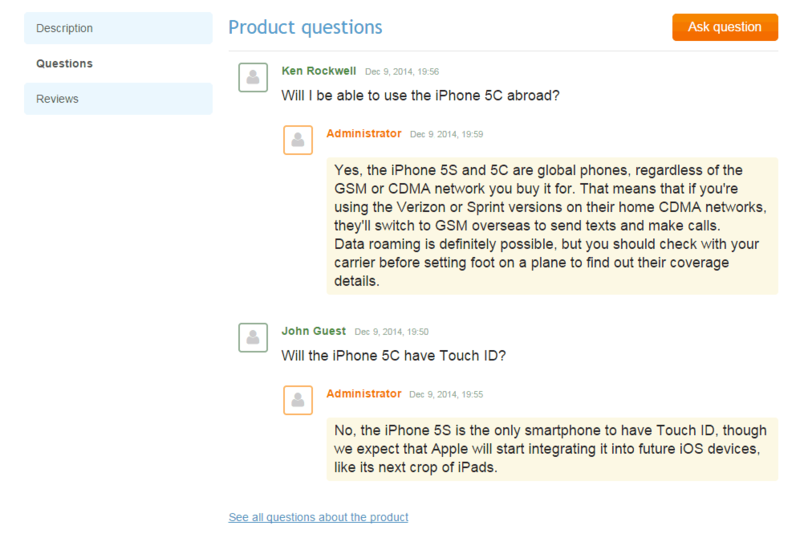 In the back-end vendors can answer questions about their products, and the answers show up with the vendor's name. Website administrators can edit users' questions and even create their own questions based on past discussions with customers.